It’s a tantalizing thought. But let’s set expectations for the folks who are newer to this: SEO is really hard when you’re a new or small business. Moreover, this kind of “straight through the front door” approach to try and rank for that one thing is extremely difficult, even for massive businesses who own giant market-share. Success in SEO takes a serious and sustained commitment to creating and sharing quality information through your site. It requires taking a totally honest look at your business to define where your business is suited to compete, who you’re up against, and what niche you can realistically attack as a result. But there are absolutely things you can do to stack the SEO deck in favor of your small business, right now. This post will walk you through the things you control from Day One, how these things send signals of quality and value to search engines and prospective customers, and how you can continuously improve on them. Google looks at a long list of factors when determining where to rank you in its all-important search results page (SERP). To make things really fun: it’s not always clear what those factors are (Google tries to keep a lot of this secret), but thanks to a lot of research, experimentation, and observation, you can tell that the SEO industry has a very good idea of the most important elements. Of the many factors Google looks at, this article focuses on the pieces that fall under the umbrella of “on-site SEO”. Meaning all the elements within your website that Google looks at to determine if your site and/or a specific page is relevant to a search query. Google wants your site to be useful and significant to users before you’ll earn your way up the rankings. It’s up to you make it clear to Google and to users that the value and relevance of your site are unassailable. Let’s dive into some of the factors Google and other search engines look at. Title tags are a major ranking factor for search engines. Having clear and informative title tags helps both a search engine and a prospective customer understand what a page is all about. They carry a lot of weight from a UX perspective because they’re often the first thing people see when viewing your page or as they’re deciding whether to click through from the SERP to your site. These are hugely important moments, so get your title tags right from the get-go. Similar to title tags, meta descriptions are among the big first impressions for your site’s pages. They’re presented as the summary paragraph in the SERP to provide a little more detail on what a page is all about. While it might be tempting to be completely blunt, or even underhanded with this or any other easy-to-edit page element, Google is beyond-wise to this trick. Here’s a little more information on what it means to “write for SEO” in 2018. Because this page element was so abused by bad actors for so long, Google has been clear that they are not a direct ranking factor. But their influence over people’s decision to click (or not) does have an impact on your business. A well written and descriptive meta description will increase your click through rate, traffic to the site, and ultimately, ranking in the SERP. Bottom line, take the time to write solid copy for this placement, just like you would for any other opportunity to get noticed. Don’t over-promise or seek to fool anyone; you won’t. Instead, promise value in the form of thoughtful & relevant answers, deliver on that promise with your page content, and do it consistently. If you want to check the length of your meta descriptions in the context of a search engine results page (“SERP”) check out the Portent SERP preview tool. Image alt attributes aka “alternate text” or “alternate attributes” describe the contents of an image on your site. This has a few purposes, including making your site more accessible for the visually impaired. It also allows Google to better understand what is pictured in the images throughout your site. Because of this, image alt attributes can have a big impact on your rank for a particular topic. Writing alt text doesn’t need to be a complicated project. You’re just helping people and search engines with what’s already there, right? If your site is about volunteer opportunities, and an image contains the words “Volunteer”, the alt text should absolutely include the word “Volunteer”. If the image is of a children’s baking class, the alt text should be “Children’s baking class”. Easy. Another benefit of descriptive alt text is that using it helps your images show up in Google Image Search. Great for businesses that benefit from people thumbing through their images without additional context, whether you’re running a photography gallery, or you just happen to have lots of great high-res images of what you do. A sitemap is a list of all the pages on your site in XML format, a format that’s easy for Google to crawl and process quickly. Keeping a current sitemap is a great way to ensure your site is crawled thoroughly and that new pages you add to your site get indexed quickly. Usually your content management system (CMS) will create a sitemap for you automatically. If your site is built on WordPress, one of the most popular platforms, you can use a plugin like Yoast to do this. No matter how you produce the sitemap, make sure you submit it to Google and Bing via Search Console and Bing Webmaster Tools account. Disclaimer: the topic of user experience is so big and so important you could write a stack of books and still not be done. But it has a major impact on SEO, so we’ll skim it here. UX and SEO are growing more and more intertwined as Google gets better at determining if a site is ultimately useful for users (or not). Many SEO ranking factors are directly related to user experience including site speed (how quickly your site and your pages load), and user time on site. Simply put, if the experience offered on your site would annoy a user, Google can tell. For instance, you could get thousands of visitors per day to your site, but if none of them are sticking around, search engines will adjust accordingly. Meaning their algorithm will try to show users a similar site where users are actually stopping to read, clicking into other related pages, and showing other signs of engagement. Take the time to complete tasks you want users to complete yourself on desktop and mobile. Are there any roadblocks that might cause someone to abandon their task and leave? Is it easy for users to navigate your site and find what they’re looking for? Are there relevant next steps for visitors to take on each page? Tools like Hotjar, which we’ll cover in more depth later in this post, will allow you to visualize how users are interacting with pages on your site and help you find even more ideas for improving user experience and conversion rates. Schema markup helps search engines understand not only what the words on a page say, but what they mean. It adds context to any jumble of letters and numbers on a page, but it’s also helpful in adding nuanced context to text that’s already pretty readable. Beyond helping search engines generally understand that your page content would be useful for specific queries, some types of schema like Review and Product schema can even result in rich snippets in search results making your link stand out from the rest. You’ve seen these before as the gold star ratings and price listings on product pages in search results. The applications for schema are endless but the most common and generally useful cases include providing reviews, product information, company information, recipes, and local business information. If you’re getting help with schema markup from an agency or a consultant, we’ve also written some guidance for setting up schema using JSON-LD which is a fantastic way to manage lots of schema markup for more complex sites. Link outreach, the process of identifying linking opportunities and reaching out to webmasters and news sites to offer your site as a resource, is a time-consuming task that doesn’t always provide the best return on the time and money you invest in it. If you’re determined to put in this work (good for you) check out this instructographic on how to do link outreach the right way. The easiest way to earn links is through being a valuable part of the conversation in your industry and answering the questions your customers have. Sound familiar? Research and create useful content that your users will enjoy and share, and you’ll be able to naturally grow your backlinks over time. They’re also a major signal to Google about what the most important pages of your site are, and which pages naturally cluster together around a particular topic. Naturally, an important service page will have more internal pages linking to it than a blog post you wrote in 2009. The goal here isn’t to create a spaghetti-monster of internal links. At a bare minimum, you should ensure that all top-level category pages on your site are linked in your global navigation and that any secondary content related to those pages are linking back to the most relevant category. For example, if you sell bridesmaid dresses on your site and you have a resource on how to choose mismatched bridesmaid dresses for your wedding, that resource should link back to the bridesmaid dress category page somewhere in the copy. It’s useful for users and it helps search engines understand how content on your site is related. Simple, right? Pro-Tip: At Portent we’ve been talking about the value of “hub pages” for nearly ten years. If you want to really elevate your internal-linking and SEO game overall, read up on hub pages and the power of grouping relevant content together on your site. We touched on site speed earlier under UX, but it’s so important that it merits its own section. The speed with which pages on your site load is a direct ranking factor and also affects user experience and conversion rates on your site. Several studies including our own direct research prove that site speed is directly correlated with revenue and conversions. So what can you do? And does it matter whether you have a large dev team? You can do a lot to improve site speed by yourself. And you can also get professional help if you’ve maxed out the easy stuff and this is still a major problem opportunity for your growing business. The easiest way to see how your site is performing on Page Speed is to use Google’s PageSpeed Insights tool. This will give you a quick score and immediately recommend some changes to improve your score. These recommendations can range from easy things like image compression to more involved projects like reducing render blocking scripts. It’s important to note that these scores are on a page by page basis. Make sure you test different pages and sections of your site beyond the home page. Think about things like product detail pages, category pages, and blog pages as well. Keyword research is one of the most important strategic aspects of SEO and all search engine marketing. Having a strong understanding of what people are actually searching for on Google or Bing and tailoring your site content to best addresses those queries are what make your website great. Here’s a deeper dive on getting started with keyword research. A word of caution: use tools to avoid guessing which keywords will best suit your business. There are a ton of SEO tools out there specifically designed to help you find keywords and prioritize them based on actual search volume and competitive landscape, rather than intuition. Check out the tools section below for more. It’s almost painful to put site content last in a post about SEO, but here we are. This is another topic that has a litany of books, an untold number of blog posts (with the catchphrase “content is king” shoved somewhere in the title), videos, interactive guides, etc. It’s important. As a matter of fact, the content that makes up your website is the most important aspect of your website. Having good content (text, images, videos, products, etc.) is so fundamental to the quality and value of your site that there’s no way to do it justice here. Is the content of your site useful and significant (as mentioned at the beginning)? Does it fulfill a need that people have? If it does, can people find it easily? Is it linkable? Have others actually linked to it? Bottom line, if your site or a specific page fills a need and people can access it easily it’s probably good content. Intuitively and conversely, things like putting very little substance on a particular page (thin content) and re-using content from your site or even worse, reusing others’ (duplicate content) can have a seriously negative effect on your site. The right tool makes any job easier. Even better than the right tools are free tools. Here is a short list of some tools to consider as you dive into SEO strategy. And if you want to go really crazy, here’s our massive list of SEO tools, organized by category. Aka the absolute bare minimum, and also one of the best digital marketing tools in history. If you don’t have this set up, do not wait. Google Analytics is a free web analytics tool that allows you to track user engagement on your website. Once you install a small snippet of code on your site, you’ll collect valuable information about your site that should influence business decisions. This is arguably the most important tool for any and every online marketer, no matter the business size or industry. Search Console is a free dashboard provided by Google and is a great resource to see how your site is doing in search results, as well as to identify and troubleshoot issues. If you’re not using it, you should be. Search Console can do things like help you identify broken external links, find opportunities to improve title tags and meta descriptions, and tell you what sites are linking to you. That should sound familiar from earlier in this post. This is also where you’ll want to submit your sitemap and make sure pages on your site are crawlable. All you need to get started is a Gmail account. Open Site Explorer: A backlink analysis tool. These tools help you see and manage your businesses local listings on major directories. This is the first place you should go as you begin to tackle local SEO for a new site. MozBar is an SEO toolbar that lets you see Moz’s key features and analysis for any specific page you visit. Moz Keyword Explorer: A tool to help you discover and prioritize keywords. The free Trends tool from Google gives you insight into search trends for specific search terms over time. The Compare feature is a great way to find more popular search terms that you should try to incorporate into your SEO or PPC strategy. It can also give you a sense for how people are asking questions or searching a specific topic most commonly. Anyone with access to Google AdWords can access this free tool from Google that will help you discover new keywords, learn about keyword search volume on Google, and develop your keyword strategy. It has several different ways you can use it. Here are a few ways you can use Google Keyword Planner to improve your online marketing results. Keyword Tool is a free keyword research tool and a great alternative to Google’s Keyword Planner. It aggregates it’s data a little differently and help you find new long-tail keywords when you running out of ideas. WebpageTest.org is another great free tool to test your site speed. The thing that makes this tool better than most is the level of detail it provides and the recommendations that come with your free test results. Like Google’s Pagespeed Insights, the tool will give your page a grade, break down the results, and provide its own list of prioritized recommendations and fixes. ScreamingFrog is a tool that crawls pages on your site in much the same way that Google does. It can be very useful for identifying technical SEO issues like broken links, internal redirects, and server responses. You can also use ScreamingFrog to efficiently generate lists of metadata on your site to spot opportunities to improve things like title tags and meta descriptions. The free version of this tool allows you to crawl and analyze up to 500 pages and is something all small business webmasters can and should utilize. Looking back to the UX section above, Hotjar is a great heat mapping tool that allows you to see where users are clicking (or not clicking) within a particular page. It also allows you to see how far down a page users are scrolling. It’s a great place to start as you’re assessing whether or not people are using a page on your site successfully, and in the way you intended. As with most here, to use the full suite of tools you’ll have to pay for a premium account. But the freemium model allows you to do both heat mapping and scroll tracking on up to three site pages for free. Now that we have you sufficiently overwhelmed… The reality here is that SEO changes quickly and it’s pretty complicated. But at the same time, it’s deceptively simple. Create great content, a great experience on your site, and a lot of things will fall into place naturally. But when you’ve got the content, and the links, and the visitors still aren’t coming, accelerating your organic results with SEO is hard work. Anyone that promises you “the #1 ranking” is massively underestimating and oversimplifying. It’s an ongoing process to rank near the top of the SERP for any term, let alone one that’s valuable and competitive. All is not lost though. There are still things you can do without breaking the bank, and that you’ve read this post is a great start. Tackle what you can from the list, but don’t be shy about reaching out. We have some small business SEO consulting services specifically designed for businesses with tight budgets. 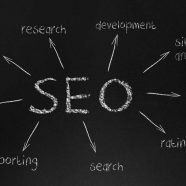 The post SEO for Small Business – The Topics, Tactics & Tools appeared first on Portent.